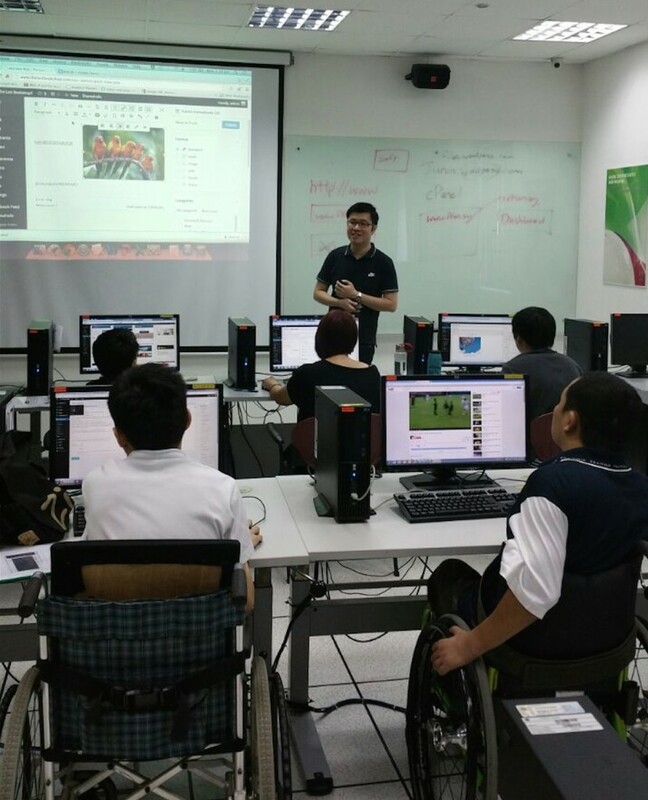 For the past 2 days, we’re extremely honoured to have the opportunity to conduct WordPress web design training at Society for the Physically Challenged (SPD) for free. Our principal trainer, Alan Koh, conducting the training. Most of the participants have never built a website before and it was great to see their faces light up when their website went live. They begin to design their own website. Group photo with our volunteers (Ben and Morrick) together with our graduate students. One of the participant even made a small gift for us! Gift from our student – paper weight sea shells and “Ang Ku Kueh”. We also receive a surprise gift from SPD. A handmade photo frame with our company name on it. SPD even provide us with a certificate of appreciation. Another group photo with the SPD training organiser Yee Ming. Overall, it was a fun and fulfilling experience for Impossible Marketing team and our volunteers. Join us today as a volunteer and contribute to the community!